Let’s face it, summer is crazy busy. We all look forward to “lazy” summer days, but it seems that those lazy days are few and far between. As we transition from the summer mind-set to a back-to-school frenzy, it’s important that the whole family takes some time to relax. We all need to recharge our batteries between these busy seasons! 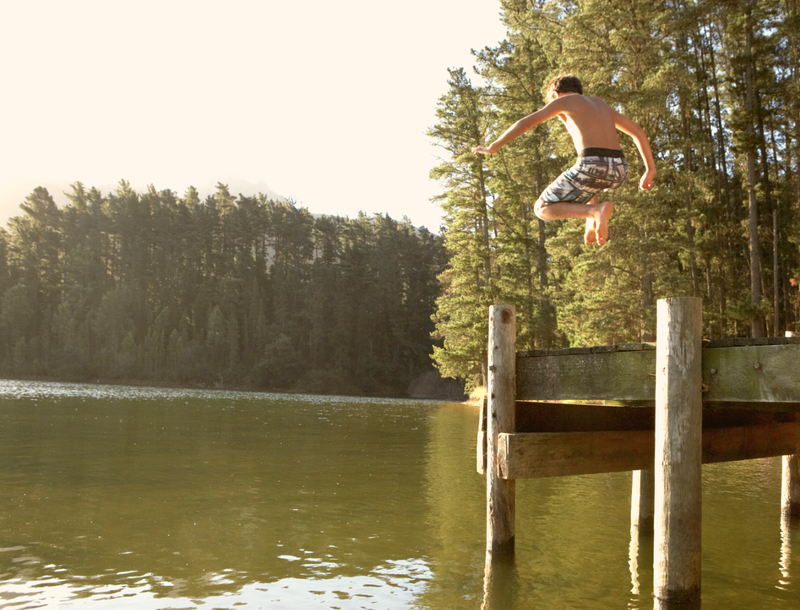 Next time someone tells you to “Go jump in the lake”, go for it. You may find it to be quite fun and ultimately a great way to unwind. National Relaxation Day is officially on August 15, and yes, it is a real holiday! It is also the perfect excuse to grab a book, take a nap in a hammock, or chill by the campfire. As adults, we all know how to relax, but do we do it enough? Sometimes we need a little reminder, and National Relaxation Day is a good one. Incase you forgot just how to do it, here are some of our favorite family-friendly ways to unwind. Whatever your choice, just remember to keep it simple. The more work involved, the less relaxing you’ll do!